The ongoing regulatory clampdown on firms which flout capital adequacy rulings has been omnipresent this week. Yesterday, the Commodity Futures Trading Commission (CFTC) ordered Macquarie Futures USA LLC to pay a $150,000 penalty for failing to maintain adequate funds in secured accounts in connection with conversion by exchange of certain off-exchange instruments to on-exchange products. Across the pond in Britain on the same day, the Financial Conduct Authority (FCA) issued a substantial fine to Aberdeen Asset Managers amounting to a vast £7,192,500 for failing to identify, and therefore, properly protect client money placed in Money Market Deposits (MMDs) with third party banks between September 2008 and August 2011. Since the global financial crisis in 2008, and subsequent to two very high profile companies having collapsed, namely MF Global and Peregrine Financial Group, worldwide regulators have been unanimous in their decisions to upgrade rulings surrounding how brokerages maintain safe custody of client assets and deposited funds. In North America and the UK, the regulatory authorities are long-standing and highly respected. Indeed, the FCA is relatively new, but it has acquired a legacy of financial regulatory experience from the Financial Services Authority (FSA) which it superseded. Both regulators conduct compliance inspections, and in the case of yesterday’s order by the CFTC to Macquarie Futures, the issuance of a $150,000 penalty represented the company’s failure to maintain adequate funds in secured accounts, in violation of CFTC Regulation 30.7. The CFTC’s order requires Macquarie to pay the amount as a civil monetary penalty and to cease and desist from violating CFTC Regulation 30.7. Although, no monetary penalty was applied, a similar outcome was reached in April, as a result of a case brought by Australia’s regulatory authority ASIC against City Index Australia for discrepancies in handling client funds. At that time, City Index entered into an enforceable undertaking, effectively similar to yesterday’s order made to Macquarie to desist from further violations of that nature. In City Index’s case, the irregularities were brought to the attention of the regulator by ASIC’s surveillance system, which conducts real time monitoring of the activities of market participants. Another step taken by the Antipodean regulator was to up the amount of net capital required to operate an FX company. British Fund Manager Hit With £7,192,500 Fine – After Discount! The FCA’s client money rules are designed to ensure that if a firm fails, money held on behalf of its clients is clearly identified, protected and returned as soon as possible. Aberdeen Asset Management incorrectly determined that this money was not subject to FCA rules, which meant that they did not obtain the correct documentation from third party banks when setting up the affected accounts. Aberdeen Asset Management also used inconsistent naming conventions when setting up these accounts, which created uncertainty over who owned these funds. To support the FCA’s strategic objective of ensuring the relevant markets function well, the FCA seeks to protect and enhance the integrity of the financial system. The protection of client assets is a regulatory priority and the FCA will continue to focus on driving up standards through firm supervision and policy work. Aberdeen Asset Management breached the FCA’s principles for businesses which require firms to protect client assets and organise and control their affairs effectively. This left Aberdeen’s clients at risk of delays in having their money returned, if Aberdeen became insolvent. Had debts been owed by Aberdeen to the third party banks, providing the MMDs client money could also have been at risk of set-off. 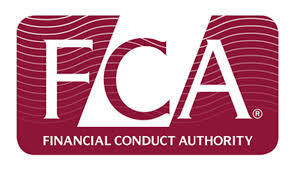 The company had been asked by the regulator to ensure they obtained the correct documentation by the FCA’s predecessor, the FSA, following a review in May 2009. Aberdeen Asset Management wrote to the FSA in 2010 to confirm that its operations were fully compliant with the relevant rules. According to the FCA, the company fully cooperated with the FCA’s investigation and agreed to settle at an early stage, qualifying for a 30% discount to their fine. Without the discount the fine would have been £10,275,000. The CFTC’s order against Macquarie Futures finds that on October 15, 2012, ICE Clear Europe converted its existing OTC swaps and options to US exchange-listed futures and options, to be listed for trading on ICE Futures, US Energy Division and ICE Futures Europe (ICE conversion). Assets held by ICE Clear Europe corresponding to assets under secured funds were to be re-designated as segregated funds. Notice was given to all concerned firms, including Macquarie, with instructions and support provided by ICE Clear Europe, according to the order. In anticipation of this conversion, on October 15, 2012, Macquarie transferred certain secured assets to its segregated accounts, and kept certain positive balances in its secured accounts. However, later on October 15, consistent with the notice given to Macquarie, ICE Clear Europe re-designated approximately $45 million of Macquarie’s secured funds to segregated funds, making the funds segregated assets rather than secured assets, the order finds. Because, all of the secured assets pertaining to the ICE conversion were moved to the segregated account(s), but the entire secured client liability pertaining to the conversion was not timely moved on Macquarie’s books to segregated account(s), a secured deficiency occurred, according to the order. The Commodity Exchange Act and CFTC Regulations contain provisions to protect the funds of customers trading on both US and foreign exchanges. In relation to customers trading on foreign exchanges, an FCM must account for and maintain money, securities and property, in an amount at least sufficient to cover, or satisfy all of its current obligations to foreign futures and options customers in a separate “secured account.” The funds in a secured account are referred to as secured funds. On October 16, 2012, Macquarie discovered that it was undersecured in the amount of $36.6 million, based on calculations made from balances as of the close of business on October 15. After learning of the deficiency, Macquarie immediately provided notice to the CFTC, the National Futures Association, and various exchanges, in accordance with its regulatory obligations. Macquarie also transferred approximately $45 million from its segregated account to its secured account, curing the deficiency. During the relevant time, Macquarie maintained sufficient funds to satisfy its secured deficiency, however, funds required to be held in secured accounts are distinct from funds required to be held in segregated accounts, according to the order. Macquarie immediately undertook measures to avoid a similar deficiency from occurring in the future, according to the order. Indeed in this case, Macquarie Futures received a smaller monetary penalty for this transgression, but the overall outcome demonstrates the serious nature of these matters from the regulators’ perspective. With many FX firms holding funds on behalf of clients in order to operate trading accounts, it is clear that a watchful eye, whether digital or analog, is maintaining close scrutiny.